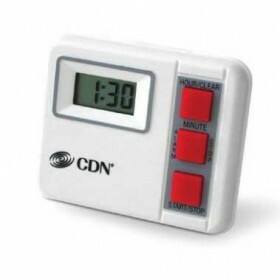 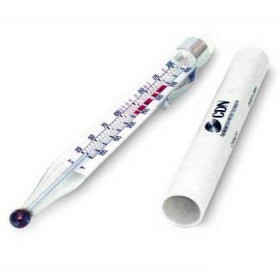 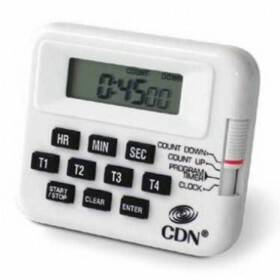 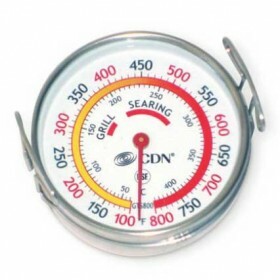 CDN are specialists in time and temperature and offer the broadest assortment of thermometers and timers on the market, with superior product innovation, quality and value. 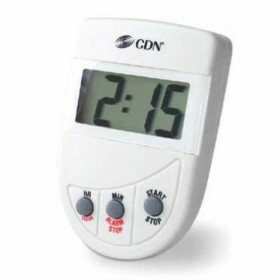 CDN is a global category leader with the personal service and commitment of a business that has been family owned for more than 25 years. 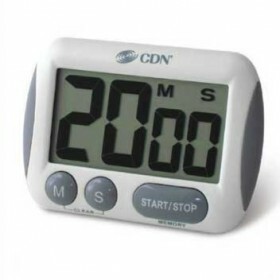 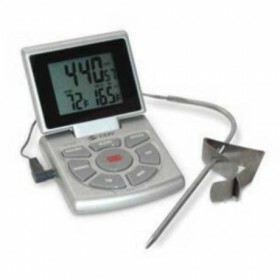 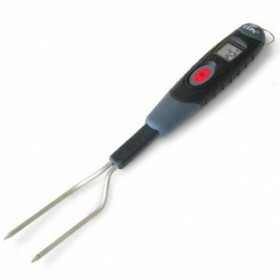 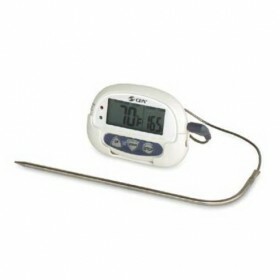 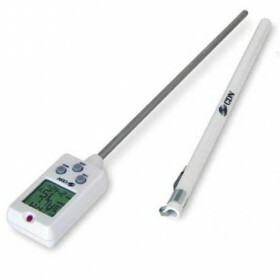 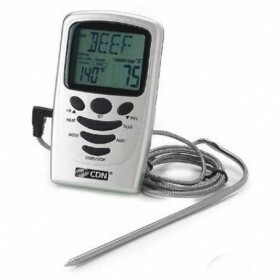 CDN 4 event timer and clock 100 hours by hour / minute / second 4 channel with individual sounds ..
CDN BBQ fork digital thermometer 0 to 100 degrees CHeat resistant constructionOne button operationHo..
CDN Candy and deep fry ruler thermometer 40 to 200 degrees C20.3 cm colour coded scaleWaterproofTarg..
CDN Candy and deep fry Thermometer. 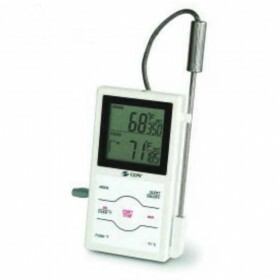 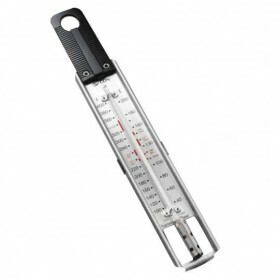 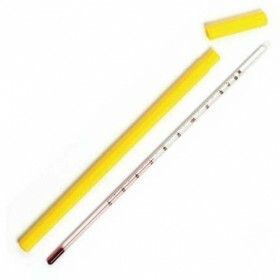 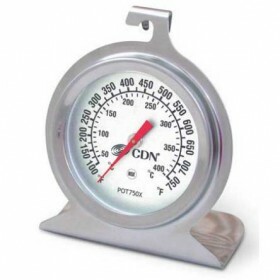 25 to 200 degrees CDurable Laboratory GlassWaterproofColor coded..
CDN Chocolate tempering thermometer 40 to 130 degrees FarenheitWaterproofDurable laboratory glassNon..
CDN digital candy thermometer -10 to +232 degrees C21.6 cm stemPreprogrammedAlertScale also in Faren..
CDN Digital probe thermometer 0 to 200 degrees C14 cm probe91.4 cm sensor cableDual progress display..
CDN Digital probe thermometer 0 to 250 degrees C14 cm probe91.4 cm sensor cableHigh heat sensor cabl..
CDN Digital timer 20 hours by hour / minuteCounts DownStop and restart..
CDN Dual sensing probe thermometer / timer 0 to +300 degrees C10 hours by hr / min / secDual progres..
CDN extra big digit timer100 minutes by minutes / secondCounts up / downExtra big digitsLong and lou..
CDN Extra loud alarm timer20 hours by hour / minuteCounts downBig digitLoud alarm..
CDN Grill surface thermometer 50 to 425 degrees CShatterproofPlaced directly on the grillDurable lab..
CDN high heat oven thermometer 50 to 400 degrees COvenproofDurable laboratory quality glassStainless..